"My first Baby" is the ideal companion for our babies from birth. At 28cm she's little and easy to hold. Made from German vinyl, she's wipeable and hygienic for little ones to play with. 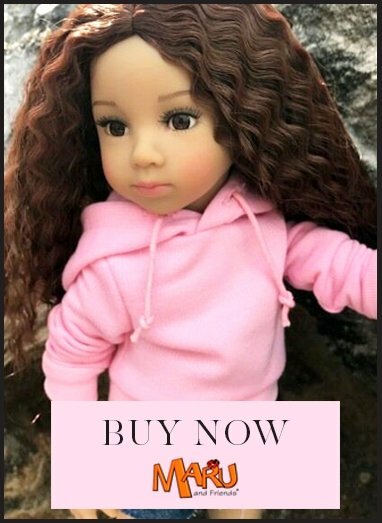 My First baby doll is made entirely made of phthalate full vinyl and has painted hair and sparkling hand painted eyes. My first baby's clothing is washable at 30 ° C.
She's not cuddly without clothes on, as she's made from vinyl with no soft bits, but she'll be easier to keep clean. Her clothes are lovely and soft as the babygrow is made from Nicky velour fabric, used for children's clothes predominantly. She's a beautiful little doll.